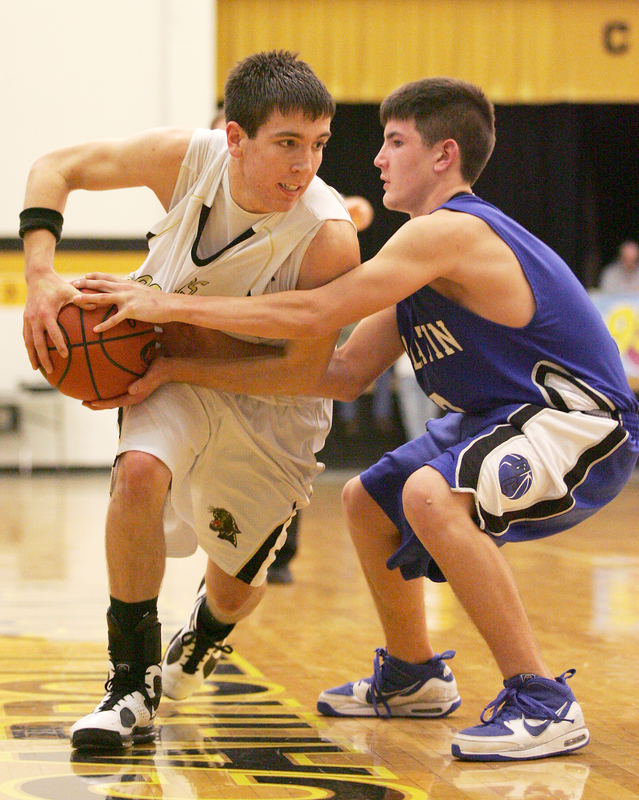 Senior Andy Sisenstein brings the ball up the floor. 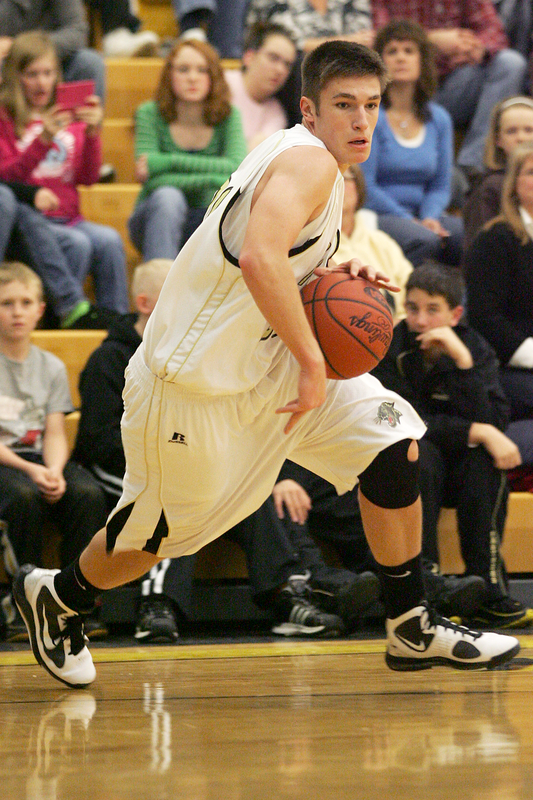 Senior Will Yager drives the lane. 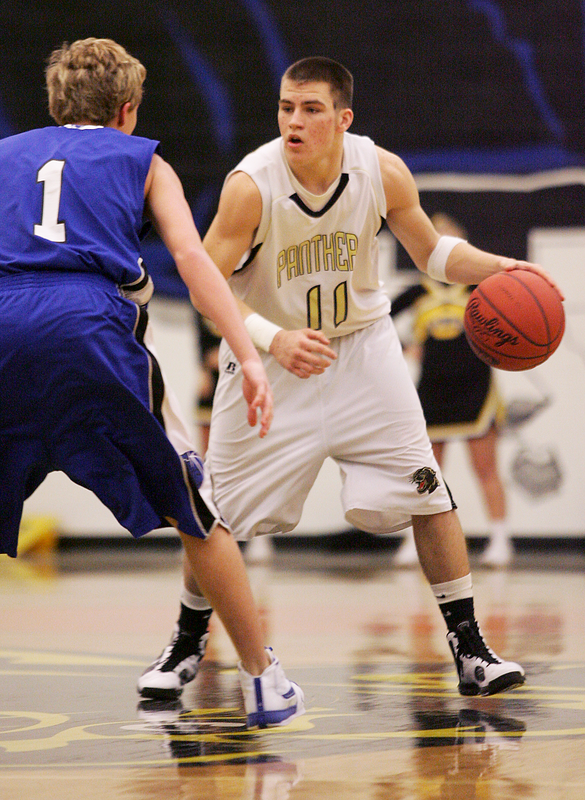 Yager drives toward the basket. 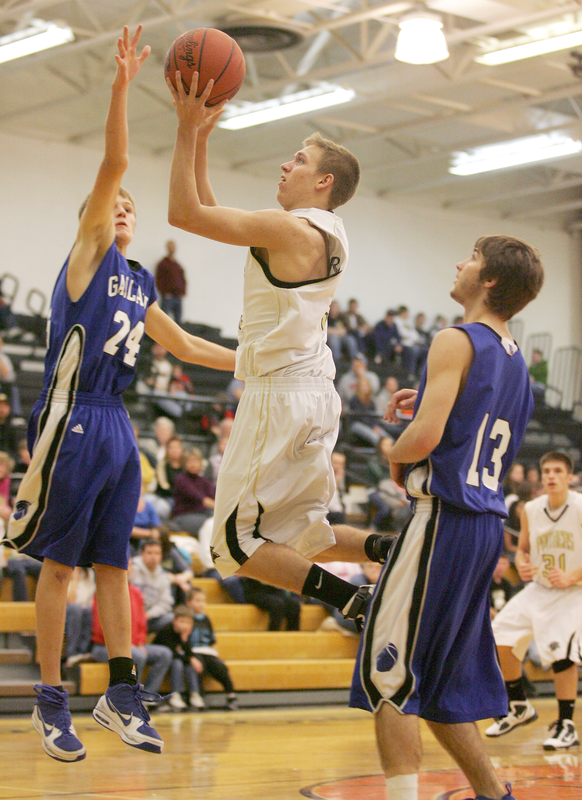 Yager hits a jumper near the basket. 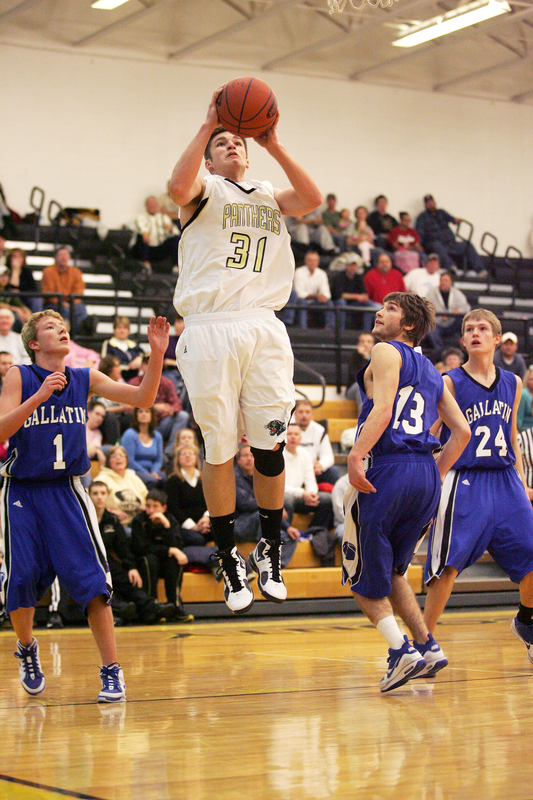 Junior Jonathan Gumbert shoots a floater in the lane during the first half. Sisenstein shoots a mid-range jumper during the first half. 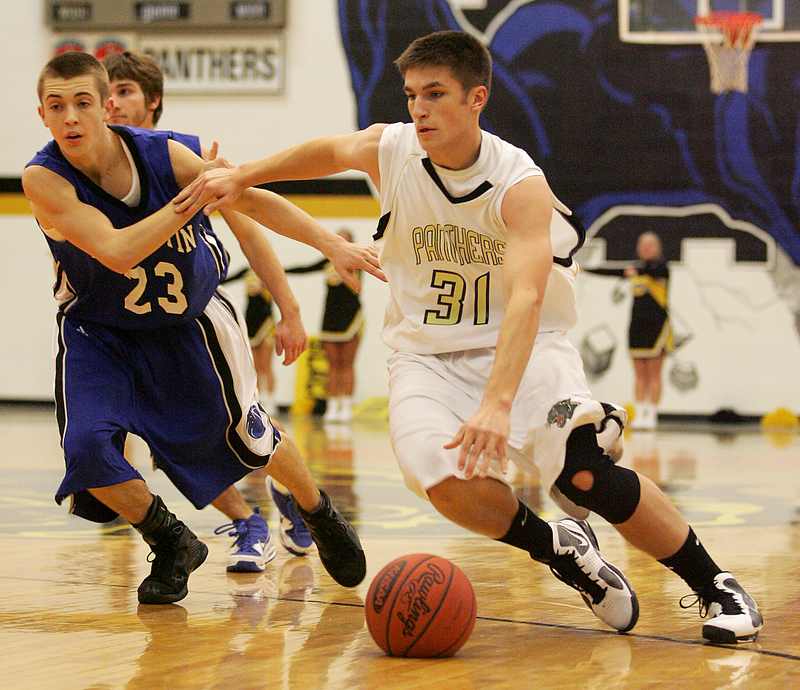 Senior Jesse Proctor dribbles the ball during the second half. 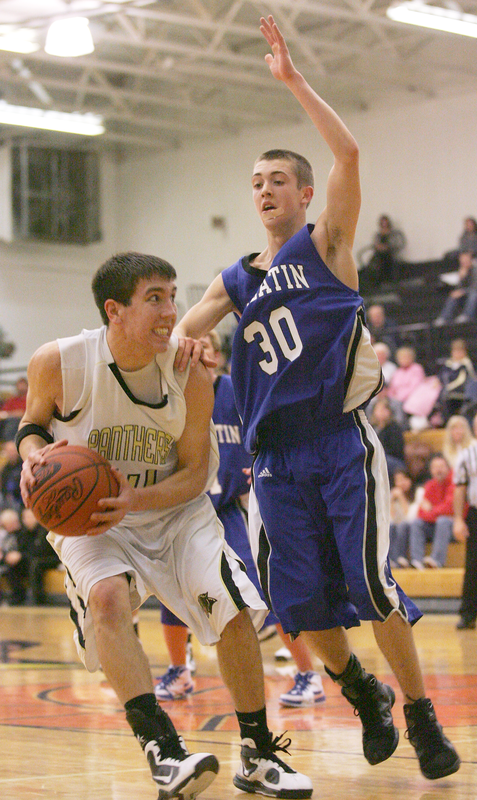 Junior Ethan Stewart keeps the ball away from the defense. 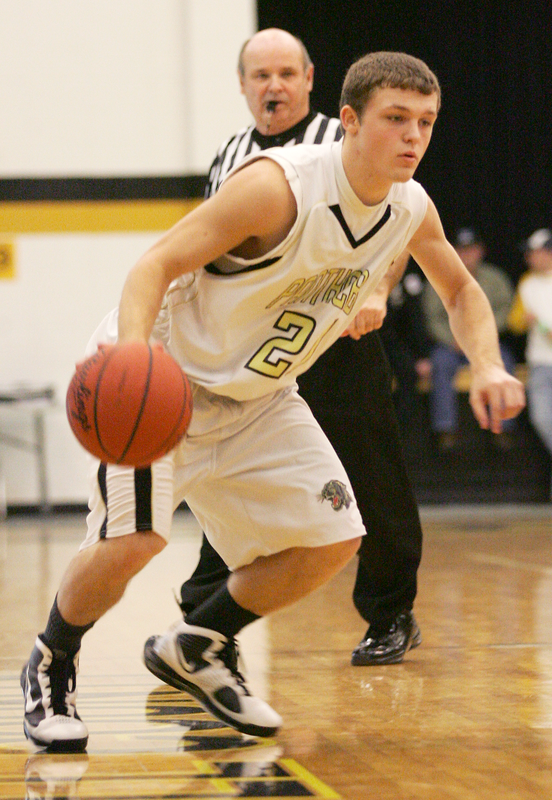 Stewart prepares to take the ball to the hoop..